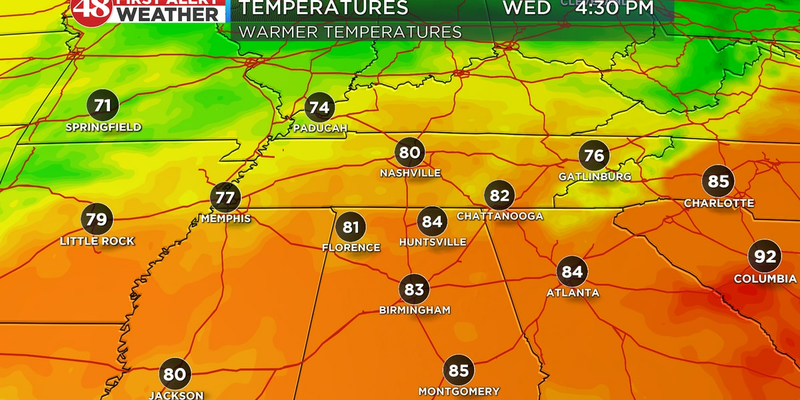 HUNTSVILLE, AL (WAFF) - Cloud cover will linger for the rest of your Sunday night with low temperatures falling into the middle 40s by Monday morning, a few showers are possible overnight. 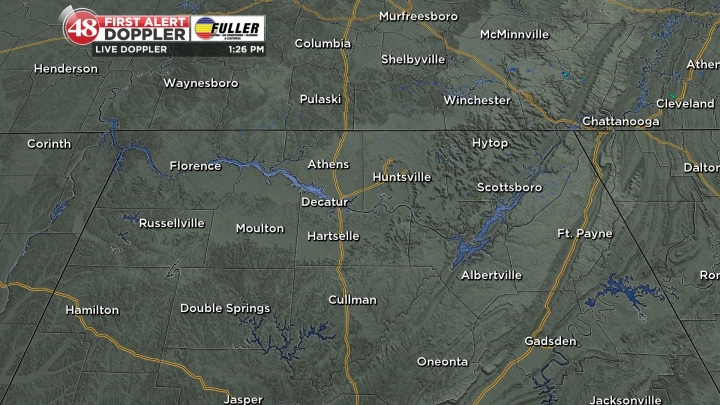 Rain chances will increase by Monday as warmer air returns to the Tennessee Valley. High temperatures will be warm in the low 60s on Monday with cloudy skies and breezy winds. We continue to track the possibility of some isolated, stronger storms Monday night into Tuesday morning as a cold front moves through. These storms will produce heavy rainfall, frequent lightning and some gusty winds. Rain and storm chances will decrease by lunchtime on Tuesday with clearing skies overnight, Wednesday morning temperatures will be chilly in the 30s. Mostly sunny skies will prevail on Wednesday with seasonal highs in the middle 50s. Rain showers will return for Valentine’s Day on Thursday and linger into Friday with highs staying in the 50s. 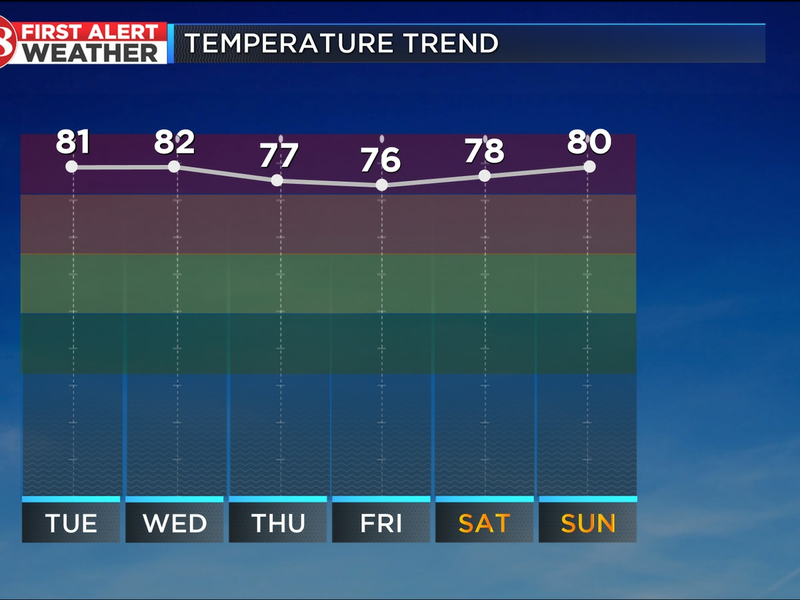 Next weekend is trending a bit cooler with highs in the 40s and chilly lows in the 20s.